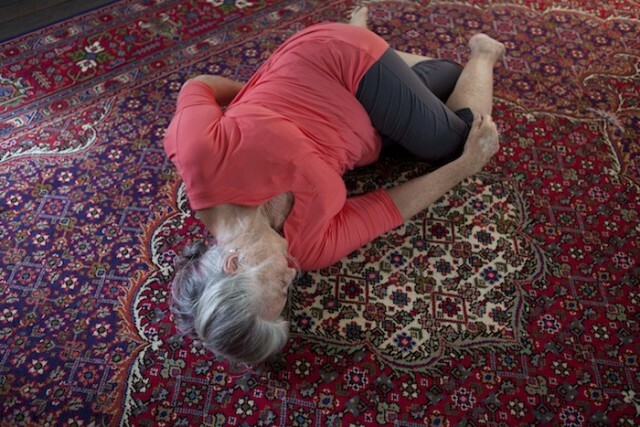 The core values of Feldenkrais emphasize the safety and well being of all participants during Feldenkrais activities. Participants are urged to engage in a relaxed and easy way. Although the activities are based on body movement, these act as a trigger to reprogram the brain to find the best and most comfortable ways to move and in parallel improve awareness. No special clothes are needed for classes, workshops or one on one consultation. Comfortable clothes that are easy to move in are all that is required. Shoes are removed for the duration of the class and bare feet, socks or stockings are the norm. Most of the class will involve floor based activity led by simple clear instructions. You may need to bring a yoga mat or blanket if the floor is not carpeted. Guidance is given on the best way to do each activity but there is constant reinforcement to do what each person's body allows them to do. Questions are answered immediately in clear direct terms. Most of all, Feldenkrais is an inclusive method, inclusive of all ages, inclusive of diversity and inclusive of body type and ability.